TEAM LEADER: "We want to become the largest arts festival in the English-speaking Caribbean." The Kingston On The Edge (KOTE) urban arts festival (taking over the capital for the rest of the month) has grown leaps and bounds over the course of its eight years and seems poised to continue its evolving success well into its first decade and beyond. With the indefatigable Enola Williams and her enthusiastic squad of co-organizers (Carolyn Lazarus and Omar Francis included) at the helm, we expect nothing less. TALLAWAH: It's astounding how much Kingston on the Edge's offerings have ballooned since the festival's inception. What's it been like growing the brand? Enola Williams: It's always been a collaborative effort between the founders and all of our friends. To keep it fresh and exciting is very difficult because you're doing something huge every year - and to do that calls for real collaboration, and I'm proud to say that its usually all comes together to produce something fantastic. TALLAWAH: Riffing on this year's theme, what does 'Balance' mean to you? E.W. : I'm not sure (Laughs). When I'm balanced, I'm working and what I'm doing makes me excited. And that means a lot to me. 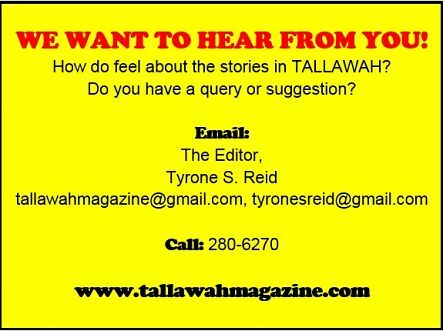 TALLAWAH: Why was it important for the festival to get involved in bringing the Ward Theatre back on its feet? E.W. : It's something that we've wanted to do for a while, and we hope that by bringing KOTE there we can show that efforts are being made, and hopefully our initiative will be a success and show people that you can do things in small stages. You don't need to have everything perfect at once. The Ward is in a usable condition; it's not in a great condition. It still needs a lot of help. So this is just the beginning. TALLAWAH: Indeed. Given the status quo, are you hopeful about the future of the cultural arts in Jamaica? E.W. : I'm very hopeful. In fact, I believe the arts is one of the things that may actually save us. When things are rough and people might be feeling down, it's usually something in the arts that can uplift you. TALLAWAH: As the festival approaches year 10, how do you plan on raising the bar? What's left for Kingston on the Edge to accomplish? E.W. : There is so much left! We hope to expand even further to get more people and places involved. People approach us from other parts of the island from time to time with ideas for Mobay on the Edge, Ochi on the Edge, or Negril on the Edge. And it really would be great for people from abroad, the Diaspora to help us make it a reality. By the time we turn 10, we want to be the largest arts-based festival in the English-speaking Caribbean.